2011 was a good year for Taiwan department stores. Thanks to Autumn Shopping Festival, Anniversary Sales, and New Year Promotion, the cosmetics floor in every department store was always crowded during the past year. The amazing buying power of women brought the sales of counter brands in full bloom. According to DGBAS, the average monthly earnings of Taiwanese female employees grew 48% over the past decade, reaching approximately NT$40,000 by the end of October 2011. 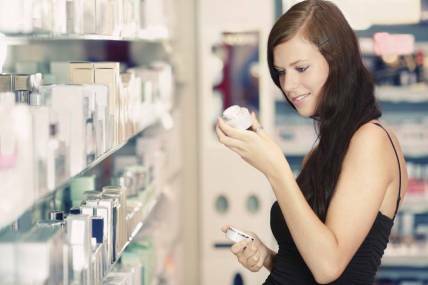 Moreover, Kantar Worldpanel also observed that department store skincare products (*1) doubled the sales over the past decade, this can be implied by the case of lifting penetration for the anti-aging products over NT$3,000. In pursuit of youth and beauty, more and more Taiwanese women (than men) are willing to spend money and treat self good. Kantar Worldpanel summarized the findings about Taiwanese women’s purchasing behaviors in the beauty market: How consumers shop in the beauty market is a “process in evolution.” When it comes to beauty, Taiwanese women no longer care just about their faces. They are now looking for total beauty from head to toe, as well as seeking beauty from within. Besides skin care, hair care segment (*2) is also experiencing the trend of premiumization. The key driver of the segment was a string of premium-priced product (products over 150% the market average price) launches. With luxurious advertisements and eye-catching packaging, the high-end products have successfully expanded its buyer base. According to Kantar Worldpanel’s tracking study, one out of every two Taiwanese female consumers aged between 15-55 have bought premium-priced hair care products. Compared to 2009 figures, this means a 720,000 increase in buyers. While shampoos led the way in premiumzation, treatments showed an even more spectacular growth, bringing up the average price in the segment by over 20%. As treatment products are not necessities as shampoos are, manufactures spent effort on marketing and promoting the products. With the marketing activities and new launches of all varieties, including wash-off conditioners, leave-in conditioners, hair essences and hair masks, the treatment market has grown by 35% —year on year in value—by enlarging the buyer base and pushing up the average spending. As for channels, personal care store was the star. The “Hair Area” in personal care stores not only displayed products in good order, but also conveyed the stores’ variety and professional image. This strategy helped personal care stores to gain and win sales from hair salons. Compared to salon brands, premium-priced products sold at traditional retail channels were more convenient and relatively affordable. Sometimes it’s even easier to see the innovation within the mass channel products. The carry-on spray on hair treatment, which made hair care easy and quick, would be a good example. Hair style represents your image, and hair color changes your appearance. Recently, the method of hair coloring changes a lot. Consumers don’t have to sit in the beauty salon for hours as they can simply do it at home. Based on Kantar Worldpanel’s survey, more and more consumers are buying hair color product at retail store with 14% in numbers of buyers during the past two years and the market is still expanding. Various colors and easy usage of home hair coloring product successfully attract young female workers aged between 26 and 35. Hair coloring market is no longer restricted to the elderly and beauty salon. After a successful transformation of hair coloring, it has shortened the distance between female consumers and fashion. Beside everyday skin care, make-up and hair beauty, having a great look from inside-out is another hot topic among Taiwan ladies. Now you don’t need to spend lots of time to decoct an invigorator, the ready-to-drink beauty drinks are now rising sharply in Taiwan market. Based on Kantar Worldpanel’s survey, sales volume of beauty drink increased 50% compared to 2 years before, especially the essence of herb, jujube and Q10. As a result, more and more companies are investing in the market, providing various products to meet different demands of functions and prices. Females between 26 and 45 who are socially active and worrying about aging are the main buyer of beauty drink. Based on the large spending on advertising and brand representative, beauty drink will be another battle field of the beauty market. Every women desire to be forever young and beautiful, thus the beauty economy will grow continuously. According to several recent beauty events, the ultimate goal of all female is perfection form inside-out and head-to-toe. Simplicity and convenience are two essential attracting factors. Companies have to understand consumers’ needs under this busy and tense world. A simple and easy solution meeting their needs will win the war! Micro-cosmetic plastic surgery is another hot topic. One can have great effect on anti-aging around the annual spending on skin care products. Based on Kantar Worldpanel’s survey, 10% females between 45 and 49 had already tried micro-cosmetic plastic surgery. If companies can overcome the risks and safety issues of the surgery, micro-cosmetic surgery market will be another fierce competition for beauty perfection. *1: Cosmetics and skincare product doesn’t include sun protection product. *2: Hair care segment include shampoo, hair conditioner and treatment products. To quote data from this article for any purpose, please specify that the source is from "Kantar Worldpanel Taiwan"